© To'ak Ecuador Cía. Ltda. For $260, you might expect to end up with about 260 Hershey’s chocolate bars. Even one of those fancy 90 percent cocoa bars probably won’t set you back much more than a Lincoln. But in our world that suddenly has a super luxury market for everything, you now have a chance to drop $260 on a single 50 grams of, um, candy. What makes these bars from a company called To’ak so expensive? Well, first let’s start with what you aren’t even eating. Not content with good old-fashioned foil, these bars arrive in a “hand-crafted hardwood box that is engraved with the individual bar number”—only 574were produced. The box is made from “responsibly-sourced Spanish Elm wood, the same wood that is used to ferment To’ak cacao.” And in the box you’ll find chocolate, sure, but also “a 116-page booklet that provides a guide to dark chocolate tasting, tells the story behind the sourcing of To’ak cacao beans, and illustrates the process of chocolate making.” And why stop there? You also get Spanish Elm tasting tweezers, to avoid soiling the chocolate with finger oils. The chocolate itself is equally heady. 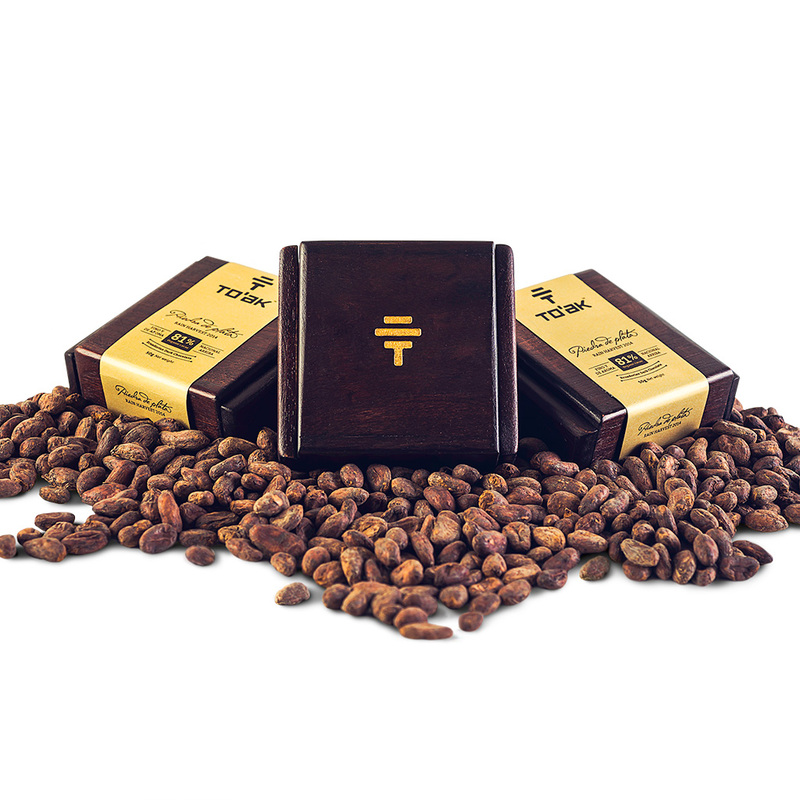 According to Modern Farmer, a “team of 14 farmers harvest, cure and hand-package To’ak chocolate, grinding the cacao beans on a century-old stone used by their great-great-grandfathers.” And the Ecuadorian beans are from an “an untouched valley of Fino y de Aroma trees: the near-extinct ‘holy grail’ of cacao beans that was almost wiped out by a 1916 outbreak of the ‘witches’ broom’ fungus.” Apparently, fewer than 200 of these trees exist. To’ak even has a running counter on their website of how many bars are still available. Right now that number is 361 bars. Or, in another way to think of it, approximately—ahem—$100,000 worth of chocolate. Supposedly.